We talked about this before here, but I want to stress that this is very important, even though it sounds very mundane. Why does America need to retain control of the very skeleton of the internet? Because who amongst the rest of the world do you really think is trustworthy. I say that while we are far from perfect, we are better than anybody else by far. Here’s an article from National Review that covers the basics. If at least for the sake of variation, those charged with riffling through last Friday’s news dumps must have been relieved to find neither new Obamacare delays nor abandoned red lines hiding among the detritus. And yet, while the less technically proficient could have been forgiven for having missed it, an announcement just as vexing was waiting in lieu: that America was planning to give up control of the Internet. At this point in the proceedings, one is customarily chastised by pedants who note impatiently that the United States does not really “control” much of the Internet at all — at least not literally. The Internet, our dogmatists record, is a wildly decentralized network of computers, servers, and services that are run by non-governmental agencies, individual citizens, and private businesses, and fleshed out by the enthusiasm and the creativity of civil society. They are right, of course. In its structure, the Web is a libertarian’s dream — an explosion of spontaneous order and of mutual cooperation that would have made Hayek blush. It don’t need no stinkin’ Man. 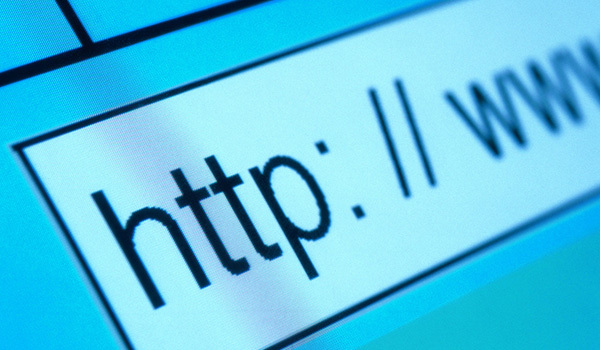 Continue reading Handing Over the Keys to the Internet | National Review Online. Great Satan’s Girlfriend reminds us that groups like Tibetan Human rights advocates and Ukrainian Independence organizations could easily be banned. I note that Turkey is celebrating the eighth anniversary of Twitter®; by shutting it off. I have repeatedly written on the alarming erosion of free speech in the United Kingdom, particularly as a result of hate speech and anti-discriminatory regulations (here and here and here). Now, Security and Immigration Minister, James Brokenshire, has stated that the government is not content with censoring language viewed as terroristic but wants to remove “”unsavoury” content.” He acknowledges that such content is not illegal but express a desire to sanitize the web of such speech. Brokenshire is an example of the insatiable appetite for censorship that develops once you allow the government to control speech. You can almost hear the “harrumph” and “here, here” to get the diminishing measure of free speech in England…. Continue reading his article as well. But what is my take away here? First is the definition game. Define ‘unsavory’ Do you think your definition is the same as mine? I’ll bet it isn’t. This is the First Amendment on steroids, and you know what? The First Amendment only exists in the United States. And always remember, “My hate speech may well be your ground truth, and vice versa.” We all have a right to try to sell our viewpoint, no matter how bizarre it is. We do a disservice to everyone when we censor their speech, even if a large percentage really do believe the sun orbits around the earth. I know there are a lot of shiny squirrels out there, missing airliners and Crimea being taken over by Russia, and all, all things can be solved in time. If and only if we are free to explore the possibilities. Any other way is Doubleplusungood. Because in the wrong hands, as we already know, it’s dangerous. Thanks for the reblog, and, yes, yes, it is, very.